We are an eminent manufacturer, distributor and exporter of Anti Scabies. The products we offer in this range include Permethrin Cream, Gammabenzene Hexachloride Lotion and Gama - C Lotion. Processed at par with the set guidelines using high-grade ingredients, these products are acclaimed in the market for their purity, longer shelf life, effectiveness and safe usage. Prior to meet delivery schedules, we test these products on varied parameters, to eliminate any kind of ill effect. 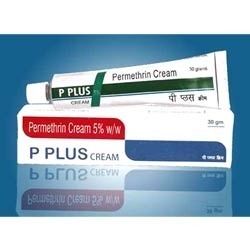 A rich gamut of Permethrin Cream is offered by us, which is processed at our end under the able guidance of sedulous medical experts. The products we offer to the clients are processed using pure ingredients and other composites so as to ensure their safe usage and effectiveness. Before the end delivery, we test these products on various aspects like effectiveness and others. Looking for Anti Scabies ?